We all know that having a malignant tumor is having cancer. Hence, often, tumor defines cancer. A tumor is the most basic symptom of cancer. However, anyone can have a tumor. The nature of the tumor, however, determines whether a person has cancer or not. Well, a tumor is basically an extra mass of cells out of place in the body. It occurs when somebody’s cells decide to divide due to some or any reasons without any functions at all and are completely useless to the body. It’s more like some group of cells autonomously (without any objection) decides to divide for the heck of it, useful or not to our body. Now, this tumor may or may not cause a variety of problems in our body, depending upon the location and size of the tumor. It also shows uncontrolled growth and may grow to gigantic proportions. So, tumors are basically a bunch of cells which decide to rebel against our own body and divide mercilessly and make it a point to convince other cells of the body to divide too. These cells become unproductive and procrastinate on essential bodily functions, as some of them have not yet decided what function to choose as their own. For example – A pancreatic cell gets fed up and decides to divide but upon division does not exhibit any properties of pancreatic cell. So, it is just any ordinary cell, with no apparent function at all. Just a cell with a nucleus, mitochondria, vacuoles, Golgi bodies and protoplasm. Now such a group of daughter cells, which refuse to do anything for the body but survive is known as a malignant tumor. So as per medical definitions, a malignant tumor is just a mass of undifferentiated ( since it is undifferentiated, it cannot perform any essential function of the body) cancerous cells. These cells are called cancerous because these malignant tumors show one of the main features of cancer- Metastasis (meta-stas-is). 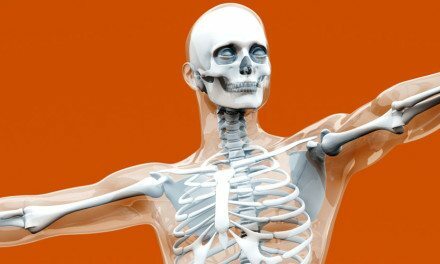 Metastasis is the official term for what can be said as spread of cancer. It is essentially that one of the cells of the tumor goes to some other part of body and convinces the cells of that part of the body to divide again, thus triggering a tumor in that part of the body and as a result, spreading cancer all over the body. 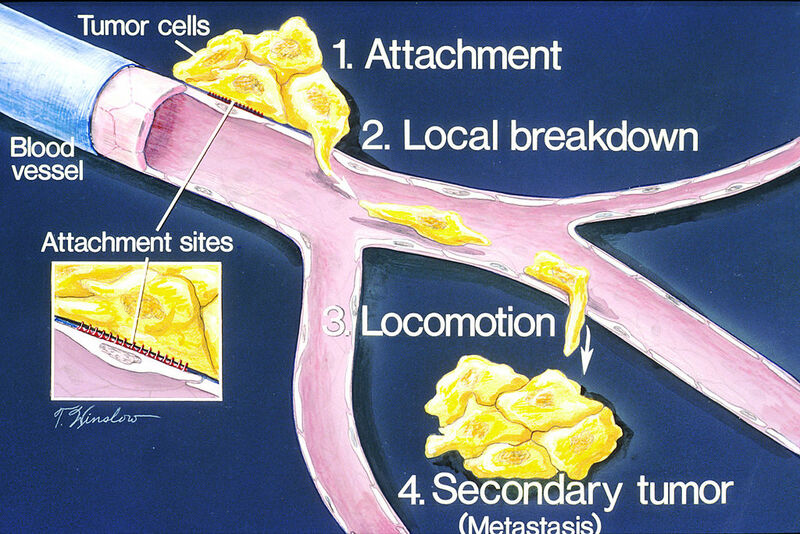 Thus, the spread of cancer is metastasis. And since these malignant tumors cause metastasis, they are also known as cancerous tumors. Benign tumor is simply a mass of cells on strike. They are well-differentiated and though they divide just the same, these tumors are enclosed in a fibrous capsule. They mean no harm. However if they are located in some specific location like the brain, their mere presence can hamper the functioning of the body. Since these tumors are enclosed in a fibrous capsule– they do not spread this condition throughout the body and are relatively harmless. It is not necessary for us to remove them unless they possess some threat to our body. So the only exception when a benign tumor causes cancer is brain cancer since its mere presence affects the functioning of the body. 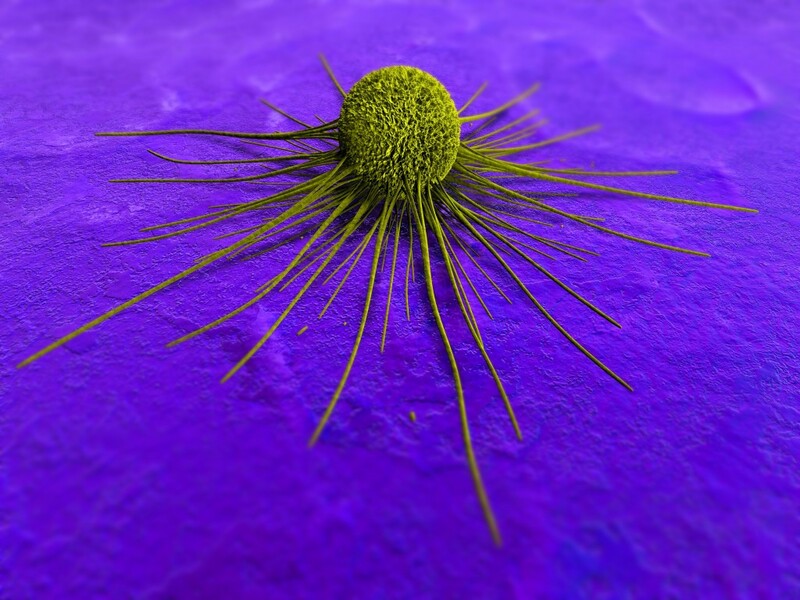 Tumor after all, is but a bunch of rebellious cells. They too need nutrition and oxygen to survive. Our body knows not to differentiate between normal cells and cancerous cells and provides blood to both of them just the same. So a majority of tumors are situated near blood vessels. 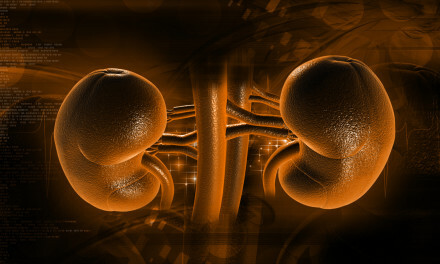 Without vessels tumors cannot grow to be larger than a small fraction of an inch. What if a tumor formation has started away from a blood vessel? Will it survive? A dead tumor is usually just eaten by macrophages, the eat-all-the-dead cells of the body. To survive, however, these cells have a trick. When the area around the cells in a tumor starts to get too far from a blood vessel, the oxygen and nutrient levels start to go down. A decrease in oxygen is also called hypoxia. Hypoxia triggers changes in the behavior of the tumor cells. The tumor cells produce (or cause nearby cells to produce) growth factors that stimulate the formation of blood vessels. Tumors that do not produce (or cause other cells to produce) angiogenesis (formation of blood vessels) factors cannot grow. Angiogenesis factors produced by tumor cells or nearby cells can cause the development of blood vessels that feed the growing tumor. Because this is a normal signal for the cells forming the blood vessels, they are really just doing their job. 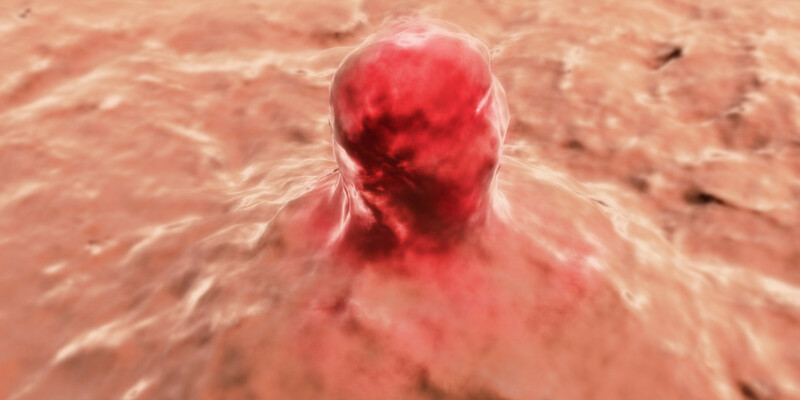 The tumor ‘tricks’ the body into creating new blood vessels. The blood vessels created in this way are not exactly the same as normal blood vessels. Frequently they are less organized and leakier than normal vessels. Leslie Samuel is the creator of Interactive Biology. His mission is to use this site to Make Biology fun for people all over the world.